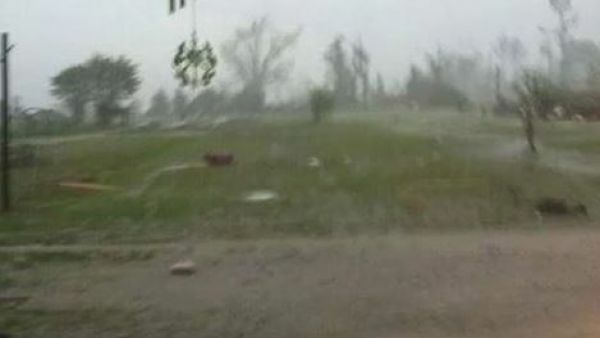 Two people died today after a tornado ripped through Billy Bob Trailer Park in Coxey. Local storm chasers posted this video of today’s storm. At least six people were killed after a tornado moved through Limestone County on Monday afternoon. The Limestone County Sheriff confirmed the deaths of two people. The fatalities were reported from the Billy Bob trailer park in the Coxey community. A survivor of the Coxey tornado, Tammy Haddock, said the park looks “like a bomb went off.” She said hers is one of five trailers that have been destroyed. Limestone County Commissioner Bill Latimer told the Associated Press Monday night that four people were killed in his district, southeast of Athens. Four people were injured in Clements and are being transported to Athens Hospital. The Clements Fire Department and Clements High School both took a direct hit. Bay Hill Marina also sustained significant damage and one person was injured, according to the Sheriff’s Department.